Children are adults in the making. In other words their brains are being shaped and trained. The problem with labelling children with Attention Deficiency Hyperactive Disorder (ADHD) is that it assumes the child’s’ brain and mind cannot be shaped and formed differently than how they currently present. Through the study of neuroplasticity (formation and reformation of the brain) we now know that to be untrue and that the brain can be reshaped by experience and training. Recently a woman brought her two sons of seven and nine years for to see me for blood tests to find out if they were allergic to any foods. The boys’ private school had complained that both boys were not paying attention and were disruptive in class, so they wanted the mother to agree start them on ADHD medication. The blood results were fine and when I watched the two boys in my office playing on their iPad, what I say were two very intelligent, highly skilled children using computer technology and engaged in highly complex skills. When I spoke with them, they were beautifully behaved, happy and polite. It quickly became clear to me that they were under stimulated at school. In other words, that teachers were seeking to use medications to reduce the need to engage with enquiring minds. Let me put it this way: You get a dog from the pound who is snappy, barks and won’t sit when he or she is asked. So you as the carer enrol in dog training classes and you and the dog are taught how to socialise. You receive education and are taught how to create good behaviours, both in the dog and you the carer. Let’s now ask the question why professionals are not offering you similar options for children with maladaptive behaviour, instead of reaching for the pill bottle? Children are all different and require different amounts of effort to guide their behaviours and sometimes adults do not have the knowledge or abilities to guide those children’s behaviours so the child is labelled as having ADHD. If Mozart, Einstein, Da Vinci, Marie Curie, Joan of Arc and Queen Elizabeth I were alive today, they would most likely be diagnosed with ADHD and medicated. The side-effects of ADHD medication are very serious and can include insomnia, anxiety, irritability, mood disorders, anti-social behaviours, dry mouth, dizziness, stomach aches, decreased appetite, gastrointestinal issues, headaches, tics and torticollis (bending and shaking of the head). The line of enquiry with children who experience behavioural disorders needs to be nutritional, toxicology, brain training, behavioural training, therapy, parental training and education adjustment to that child’s needs. Remember as a parent, when children are difficult, it is for many reasons but most of all it is because they need attention to help guide them towards rewarding behaviours. Always explore other options to psychiatric medications first for behaviours that look like ADHD. 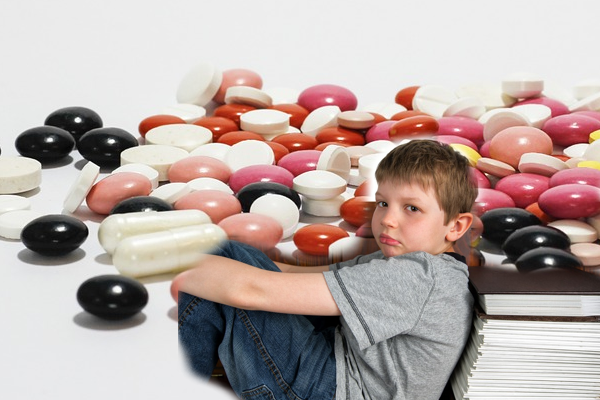 Even if your children are on stimulating ADHD medications, continue to explore other options because the side-effects of those medications can continue into adult life. Do you and your child need help with overcoming behavioural problems? Call 02 8021 6429 to book an appointment with me at my Sydney clinic.